Stargate Command is in crisis — too many teams wounded, too many dead. Tensions are running high and, with the pressure to deliver tangible results never greater, General Hammond is forced to call in the Pentagon strike team to plug the holes. But help has its price. 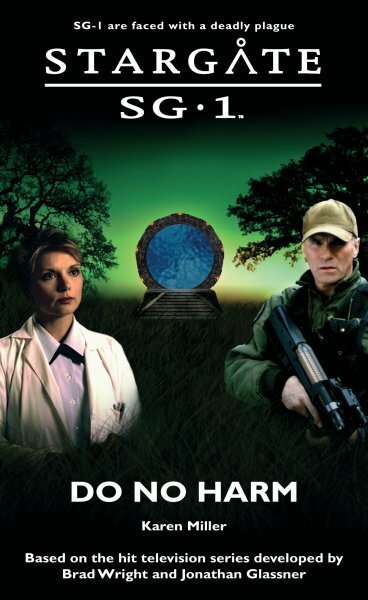 When the team’s leader, Colonel Dave Dixon, arrives at Stargate Command he brings with him loyalties that tangle dangerously with a past Colonel Jack O’Neill would prefer to forget. Assigned as an observer on SG-1, hostility between the two men escalates as the team’s vital mission to secure lucrative mining rights descends into a nightmare. Beyond the retreat’s open door the sun was setting, the Adjoan sky streaking from blue to pink. It’d be dark soon, and if he had to argue with Dixon till his tongue fell out he wasn’t going to let some stupid medical protocol get in the way of doing what was right.